Japan knows how to perfect things. From streamlining and revolutionizing the assembly lines for cars, to crafting award-winning whisky that often out-rank distilleries that came up with the process, contemporary Japan has made a name for itself less for innovation and more for perfecting things that originate from other shores. On a recent visit to Hokkaido, the country’s northernmost island, all the current drinking trends were on hand. I tasted that award-winning whisky, and sampled good craft beers at a craft bar with eight local pours on tap. I paid too much for an old fashioned at Bar Yamakazi, helmed by 94-year-old Tatsuro Yamakazi, who’s dedicated his life to crafting perfect cocktails. He wasn’t working the night I visited, and while the bar itself felt like the perfect personification of a U.S. speakeasy, the drink I ordered was…good. Maybe even great. But it didn’t feel particularly Japanese, nor did it necessarily exceed ones I’ve had in New York, DC, or LA. But beyond a new-found affection for unfiltered sake, my drinking habit in Japan over the course of 10 days gravitated toward the cheap stuff. And it was awesome. Craft beer is just starting to gain traction in Japan, and some—like Kiuchi, a sake brewer since 1823 and craft brewer as of 1996—are great. But they were also hard to find unless you hit a dedicated liquor store or visited craft beer bars like Sapporo’s The Craft, which is tucked into a narrow building on a bustling street in Sapporo’s business district. Solid beer, but with the same prices you’d expect in the States. Instead, I leaned into Japan beer mainstays: Sapporo, Asahi, and Kirin. In cans, sold for less than $4 U.S. for a tall boy from a resort vending machine, and for less than $3 in convenience stores like 7-11. A can of Sapporo Classic—a light lager sold only in Hokkaido, the brewer’s home prefecture—perfectly complimented a bowl of miso ramen while seeking refuge from the falling snow while skiing, and worked even better at après, when I’d grab a few cans off the shelves of a local shop. 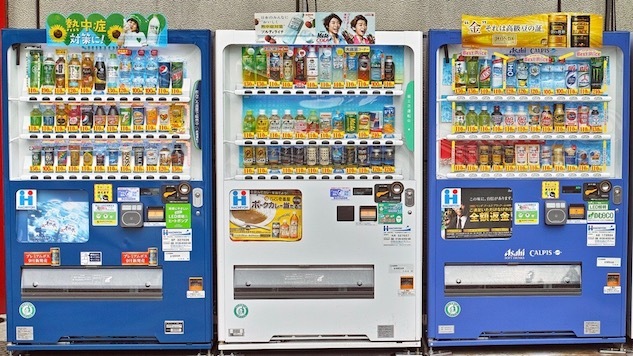 It should be noted that Japan’s convenience stores are a far cry better than their U.S. equivalents, its shelves replete with fresh food, salty Japanese snacks with dried fish and seaweed, and shockingly good fried chicken. It was at these convenience stores that I also encountered the Suntory High Ball, a cocktail of whiskey and soda in a can, sold in 12-ouncers and as tall boys. I’m sure the mixologists at Bar Yamakazi could make a better version, but somehow the blissful simplicity of buying a few cans to make a long bus ride tolerable just felt perfect. But I stuck to the Kaku Highballs, which really soared into my affections when I was stuck at the Sapporo airport for five hours on my long way back to the States. Rather than bellying up to a bar—which are plentiful in the airport’s dazzling food court, delightfully dubbed Gourmet World—I hit the local Lawson convenience store for a few $3 Suntory high balls, found a spot on a plush circular couch-type thing on the fourth floor of the sprawling building, and sipped my drink and wiled the hours watching Netflix, taking the occasional wander through the joyful and surreal chaos of the airport arcade. Then I cleared security and scoried a Sapporo Classic at another convenience store next to my gate to help kill the another 30-minute wait. The Kaku Highball may not rank as the ingeniously engineered equivalent of something made elsewhere. But at that moment, the ease, price, taste, and overall experience were buzzy perfection.